Bestselling author Jeff Alworth takes serious beer aficionados on a behind-the-scenes tour of twenty-six major European and North American breweries that create some of the world's most classic beers. Learn how the Irish make stout, the secrets of traditional Czech pilsner, and what makes English cask ale unique by delving deep into the specific techniques, equipment, and geographical factors that shape these distinctive styles. 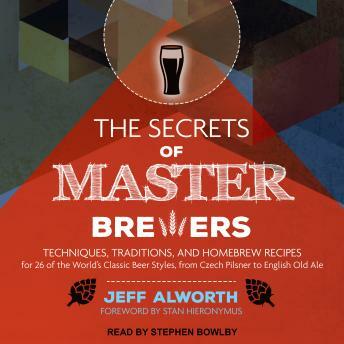 Contemporary brewers carrying on their traditions share insider knowledge and twenty-six original recipes to guide experienced homebrewers in developing your own special versions of each style.